How are 2019 silverado sales? 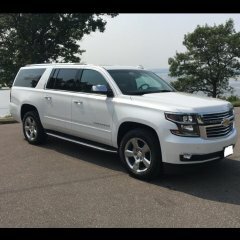 I live in NY about an hour outside the city and i have yet to see a 2019 silverado or Sierra on the road. I have seen them on the lots just not driving. I have seen quite a few of the new Dodge Rams. In NC, I've seen more new Silverados than I have Rams. I've only seen 1 or 2 of the new Sierras out on the roads. I live in Fort Walton Beach Florida...trucks out number cars it seems. I've seen maybe 5 Silverado, no GMC and more than I can count Ram. The new ones anyway, the Silverado/GMC still out number the others from previous years. Suburban North NJ checking in. Lots of new Rams running around, but no Silverados or Sierras. Didn't see any either a month ago on vacation in Colorado either. I've seen I believe two Silverados that were near a dealership, so I'm not sure it counts, and one Sierra at a local residence. I only spotted the Sierra because of the new tailgate. I see the new ram regularly. RAM has been out for a year now. T1 Silverado and Sierra really only on lots for a few months. GM just started with advertising them and switching the website over from K2 to T1. Correct. Ram has been running big discounts on their 2019 for a while as well. GM is just now starting to really discount the T1. 14K off Rams down the road from where I work. Lots are jam packed with 100's of new T1's in Texas. Seeing on on the streets is a rarity. While the price is still too high a lot of people are not willing to give up features deconted out of the 2019 that they consider a must have in their current K2 truck. Definitely seeing more of both on the road now, but not as many as I thought I would. Wonder how many people like me waiting on a 2020? Seen a bit more than a dozen in the Rochester NY area. The volume Chevy dealer has a $hitload on the lots right now. We've sold 4, maybe 5. What specific features? Adjustable pedals? And.........? Here in So cal where GM sells a lot of trucks , I still haven’t seen a lot of new gm trucks. Tons of 14-18s but not a lot of 19+. Gm and ford don’t do monthly sales anymore so it’s hard to gauge. Ram had a 36% increase in Jan 2019 from last Jan. 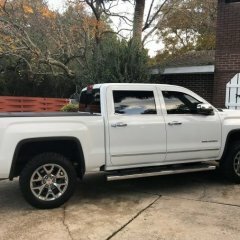 I have a feeling Ram will give gm truck sales all it can handle in 2019. Ford always wins truck sales so I won’t even mention them here.